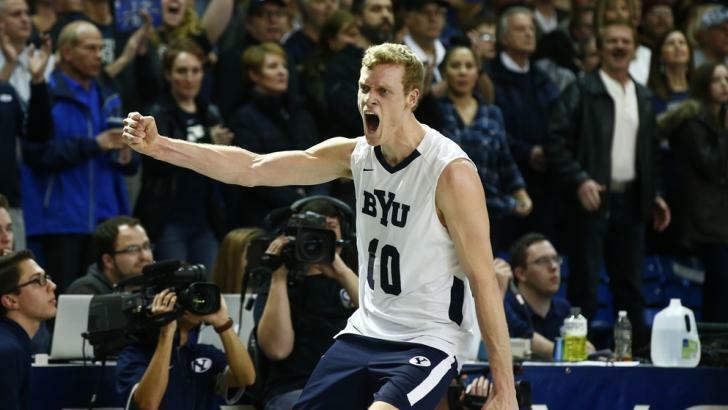 BYU remains atop the latest men’s NCAA volleyball RPI rankings, and the entire top 8 remained unchanged through the first round of conference tournaments. The RPI rankings are becoming very important this late in the season, especially for top-10 teams that go deep into their conference tournaments but don’t win them. It will be one tool used by the selection committee to decide who receives the automatic invites to the 6-team NCAA tournament beyond the champions of the 4 Division I-II conferences (Conference Carolinas, EIVA, MIVA, MPSF). The rankings should see a much bigger shift later in the week after the top teams play and beat up on each other in the conference tournaments. The early-round games in the MIVA and MPSF didn’t provide much in the way of upsets to shake up the rankings. The first team to move in the rankings was Ball St., who jumped from 11th to 9th in the latest rankings after a big upset over Loyola-Chicago in the opening round of the MIVA playoffs. The big shakeups will come on Wednesday during the MPSF semi-final games in Long Beach. There, RPI #4 Hawaii will play RPI #1 BYU, while RPI #3 Long Beach State will play RPI #5 UC Irinve. The winners of those games will be all-but-assured of spots in the NCAA Championship tournament, either via the auto bid or one of the two at-large bids. The losers will have to await their fate and the results from the MIVA tournament, likely the only other contenders for an at-large bid. The MIVA’s only real chance at getting a second bid is if the defending NCAA champions Ohio State don’t win the conference tournament. Ball State, the conference’s only other top 13 team still in the conference tournament, plays Ohio State in the semi-finals, so they don’t have much of a chance to sneak in either, unless they can knock off the Buckeyes. Hawaii is well-positioned to get that other at-large bid. Not only are they already a spot higher than UC Irvine in the RPI rankings, in the opinion of the computers, they’re playing the better of the top two MPSF teams.